The sport of kayak fishing has been growing exponentially the past few years, allowing angler's to travel into waters that are not reachable by conventional boats. 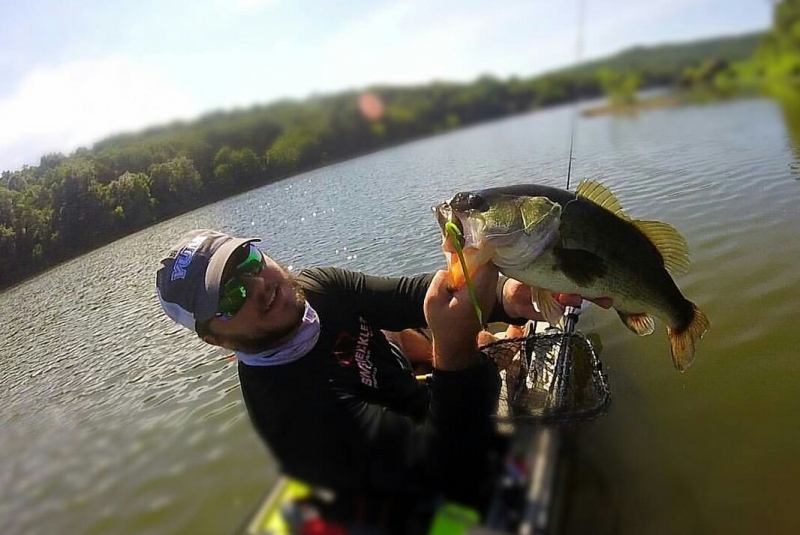 Fishing from a kayak for bass, both in tournaments and for recreation, The Rod Glove's Justin Brewer sheds some light on his experiences on the water. The Rod Glove recently caught up with Justin Brewer and here is what he told us. What is it about kayak fishing that you enjoy? I began kayak fishing three years ago with just a fun beginners mind set. There are tons of great fisheries around the country that are not accessible by boats with motors so I went and purchased a nice $200 kayak and hit the water. That first trip I was hooked. I kept my kayak in my truck all the time and would hit the water any chance I could. A fishing trip in a kayak is cheap and quick. There is no gas involved to run the boat you just back up to the water, unload, hop in and go. Kayaking is a great hobby that anyone can enjoy even if you aren’t a fisherman. The peacefulness of enjoying a beautiful evening in a kayak on the lake is just as enjoyable as landing a monster fish and there is nothing like it. I am now an avid kayak tournament fisherman and I travel from lake to lake fishing CPR (catch, photo, release) style tournaments. I had a strong year my first year finishing 4th out of 150 anglers in angler of the year points (yes 150 anglers, Northwest Arkansas has the largest kayaking community in the country). This year I have had fourteen top ten finishes, two third place finishes and three first place finishes. I am a two time qualifier for the Kayak Bass Fishing national championship on Kentucky Lake which has doubled since last year from 500 anglers and a $30,000 payout to a predicted 1000 anglers and a $100,000 payout. What have you been doing for fall fishing? Well so far I have fished a couple tournaments one on Table Rock and the other on Lake Dardanelle. So far things have been tough. This is kind of an awkward time of the year, the bass aren’t in full fall mode yet but they are not in summer mode either. I’ve been able to find a decent one here and there but for the most part the bass are scattered out and suspended below the shad. So I am still waiting on those cooler temps to really kick those bass into fall mode. I can’t wait!